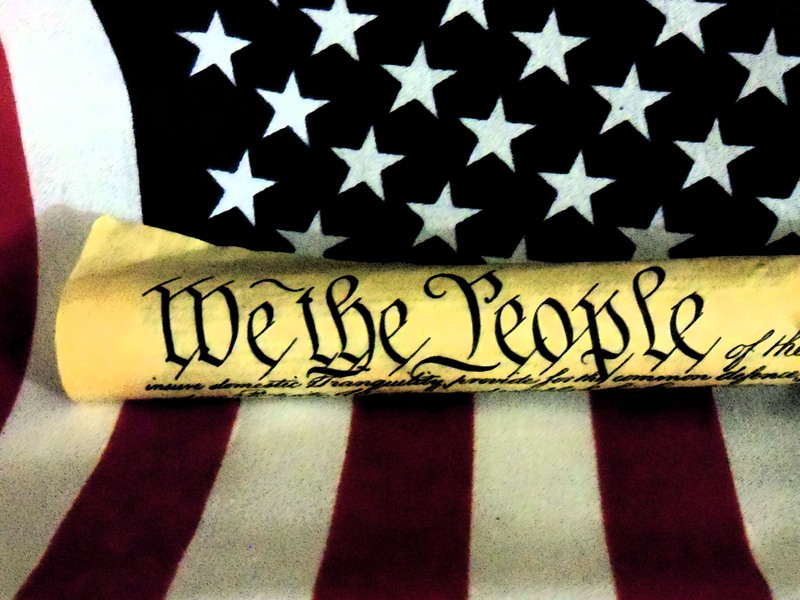 Our Constitution: Did the men who wrote it possess wisdom that has since been lost? It looks like the U.S. Senate is going to kick the can down the road a little farther when it comes to the PATRIOT Act. 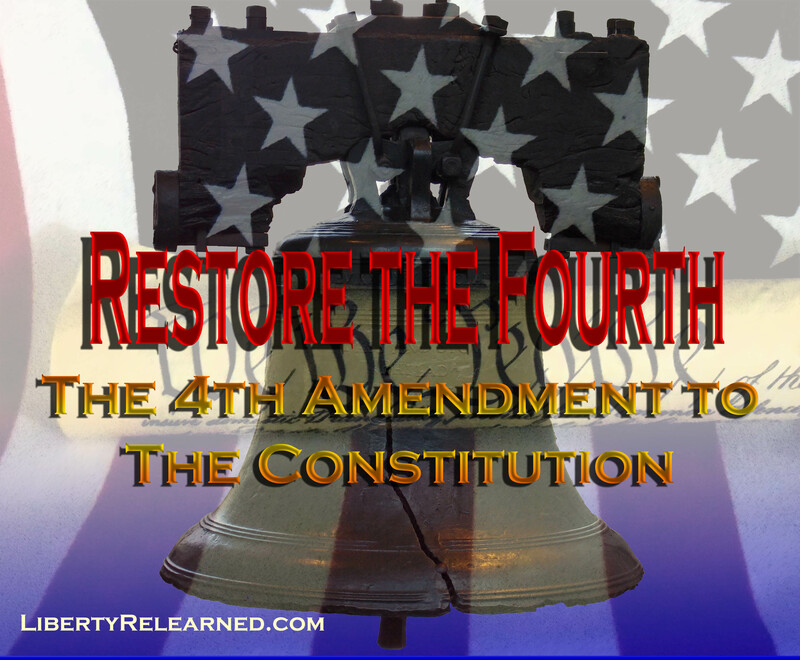 Fans of the Constitution and the Fourth Amendment in particular are going to be disappointed. The plain text of the Fourth Amendment would suggest that Rand Paul’s argument should prevail, but as a realist, I believe it won’t. The renewed act will still allow for some form of a general warrant on our phone records. The U.S. Government will be able to gain access to our phone records, even if there is no cause for suspicion, no probable cause. Yes, proposed changes to the PATRIOT Act will make it harder for them actively violate our rights. They may have to go to the phone company first. The phone company will have to find our records first, (doesn’t that imply a search?) before the hand them over. (Seizure?) I hate to say it but realistically, we supporters of the Constitution should face the fact that the current deal as passed by the House, is the best we can hope for this time around. If it weren’t for the presence of the Tea Party caucus, the PATRIOT Act would likely be renewed as is. The U.S. Senate, despite the best efforts of Rand Paul and Ted Cruz, will only pass the amendment known as the “USA Freedom Act” kicking and screaming, if at all. The argument has been framed by most as one of freedom vs. security. That is but one aspect of the law we must deal with. There is another we dare not speak of: Do we believe in the Constitution or not, even when doing so may incur some personal risk? That is the real question. Is it better do die at a terrorist hands with your rights in tact, or possibly live a little safer with say, some minor abridgments to our right to privacy? Will we choose to live by our own laws, even if there be a cost to doing so? The framers of the Constitution clearly thought that general warrants were a violation of our natural rights. They also likely knew first hand from their experience during the Revolution that general warrants could be used as a weapon. Today thankfully, such things have been almost irradiated, like smallpox. Like smallpox though, warrantless searches can make a comeback if we but momentarily let up our guard. Unfortunately, we find ourselves at a place where the best defense of our personal freedom comes not from the politicians but from the staffers of the NSA and other intelligence agencies themselves. It is their own dedication to our safety and to the rule of law that ultimately protects our rights, such as they are. Their professionalism so far has been the final safeguard of our privacy as a practical matter. As of yet, there is no reason to suspect they have used their considerable power for anything other than to keep us safe. It may also be that the job of tracking legitimate bad guys leaves them with little time for mischief. We also know that not all Government agencies are as good at self policing themselves as the NSA. We know that the IRS for instance has broken the public trust, if not the law by singling out conservative organizations for extra, often invasive scrutiny. We can surmise with reasonable certainly that they were part of a culture established by the White House that allowed, even rewarded their abuses of power. The fact that no equivalent scandal concerning an abuse of power over at the NSA means not that the system has worked, only that they were able to better resist the corrupting influence coming from 1600 Pennsylvania Ave. In the end, it may take some undeniable, indefensible invasions of privacy resulting in the lives of American citizens being unjustly ruined before we realize what the Founding Fathers already knew about the dangers of general warrants, or warrantless searches. Mind your, I’m not in the least hoping for such an occurrence– for wishing for something like that is akin to wishing that a notoriously bad driver gets into an accident so that they can learn finally what a bad driver they are. It’s self-defeating logic. The wisdom of men such as Jefferson and Franklin on the matter it would seem, has been lost but to all but a few living today. We need to speak out on the issue, those of us who believe the founders of our country had it right whenever the occasion for sensible debate arises. We may have to accept the reality of our present situation, but we don’t have to like it, and we don’t have to be quiet about it.